Original interface of the open source SuiteCRM has been personalized by our experienced developers, and it feels even more suitable for your business. 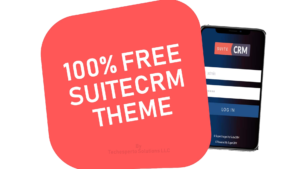 Download ‘TechBlue SuiteCRM free Theme’ It’s 100% FREE, forever. With the help of our free SuiteCRM theme add-ons, user can easily navigate from one to another modules. There are following key features of our theme. How to Install SuiteCRM Theme Plugin (Tech Blue)? Go to Admin>Module Loader and upload ‘Theme plugin(TechBlue)’ zip file. Once uploaded, click on Install and follow the and wait.